The Microphone Fiend On John Coltrane : A Blog Supreme No, it's not the sound guy waxing poetic about the classic quartet. This weekend, NPR spoke with the great rapper Rakim — aka the God MC — who divulged what studying jazz had to do with his groundbreaking style. 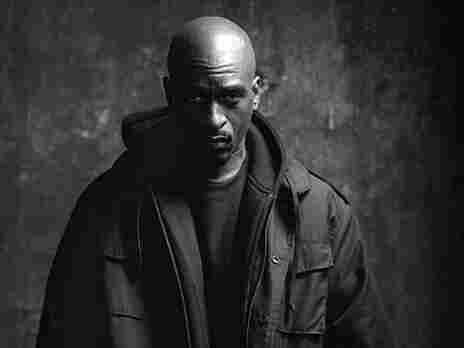 Rakim: Where knowledge of self merges with knowledge of jazz. No, it's not the sound guy waxing poetic about the classic quartet. This weekend, All Things Considered aired an interview with Rakim. Yes, that Rakim. "I think what I was trying to do was incorporate my musical influence," Rakim tells host Guy Raz. "I came up in a household [with] a lot of different music: my mom playing jazz to R&B, soul; my brothers and sisters with the Earth, Wind & Fire to Michael Jackson. So I was trying to incorporate different rhythms in my rhymes. And it kind of worked out good, you know?" "At the time, I didn't know it was going to be this different," he says. "You know what I mean? But I was shooting for something different. Like, some of my influence was John Coltrane -- I played the sax, as well. So listening to him play and the different rhythms that he had: I was trying to write my rhymes as if I was a saxophone player." Rakim is widely viewed as one of the first modern rappers -- his internal rhyme and groundbreaking rhythmic inventiveness are why "I Know You Got Soul" or "Microphone Fiend" still sound relevant well over 20 years later. It's crazy to think that these innovations were the experiments of an 18-year-old from Long Island who was just trying to fuse the local teenage craze with his mother's LP collection. He's still eminently concerned with musicality in rap, too: "I'm trying to make it a little more melodic," he says. I don't mean to position rap as the inheritor of jazz, or to engage that tired debate about hip-hop's validity as an art form. I do wish to point out that jazz teaches a great many lessons, some which extend far beyond jazz. And I know that's not an original thought either -- it's just nice when someone from beyond jazz recognizes it too.